BIDDEFORD — Main Street, the heart of downtown Biddeford, is the new location of the massage practice Hark House. The practice, formerly located in Portland, specializes in high quality therapeutic massage. 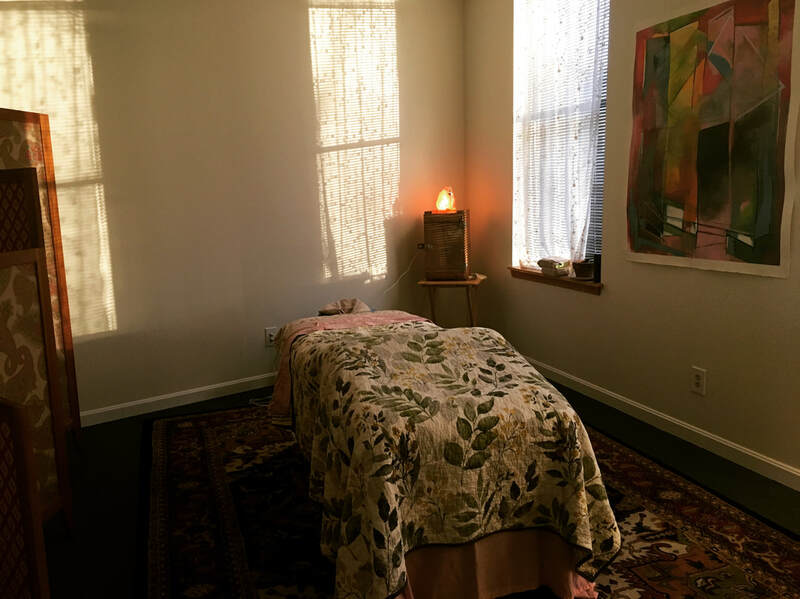 Located at 180 Main St., the practice is focused on massage, which includes educating clients about their bodies and presenting strategies for self care between appointments. The name Hark House comes from the idea of listening and recognizing our bodies in order to have more control over comfort and function, according to the owners of the business. The word “hark” can be defined as “listen” and “house” is where it happens, owners say. Together, Hark House co-owners Sean Hasey and Chrystina Gastelum have over 20 years of experience in practicing massage and bodywork. Their work includes, but is not limited to massage forms such as deep tissue, Swedish, Thai, and Shiatsu. After working in Portland for many years, they moved the practice to Biddeford last month. “While I’ve enjoyed my nearly two decades of working in Portland, the signs were clear that Biddeford was ready for us,” Hasey said. As residents of Biddeford, Hasey and Gastelum intend to be a more active in the community by building their business in where they live. Along with community involvement, the couple moved their practice from Portland in order to use fewer resources. Both licensed massage therapists have a deep passion for massage and are intrigued to learn even more. The practice of massage itself is a very personal art that allows for comfort and healing, Hasey said. The Biddeford community has made the move from Portland pretty seamless, the couple said. 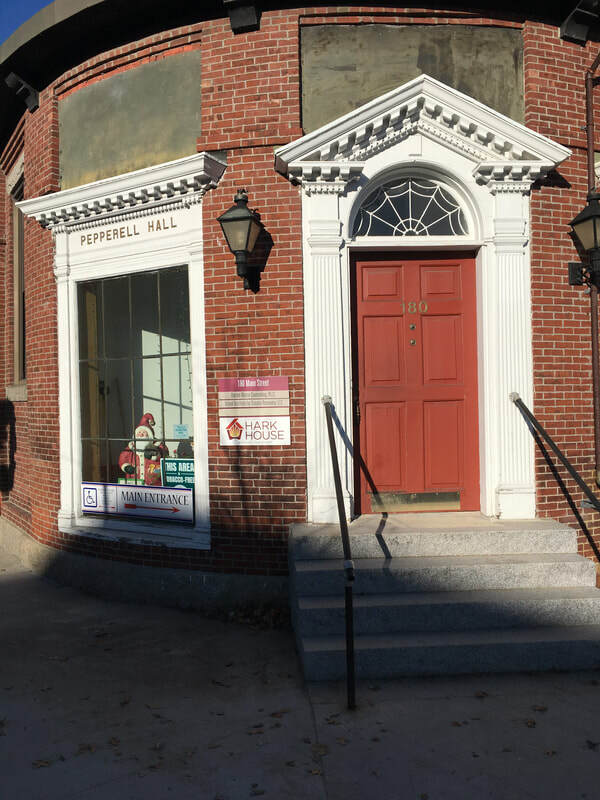 “Biddeford has such a great energy, and we are inspired by the community and like-minded health care practitioners in the area.” Gastelum said. Hark House business hours are by appointment, which can be made online at www.harkhouse.me, by email at chrystina@harkhouse.me or sean@harkhouse.me, or by phone at 558-2766. The company also committed to offer a seated massage at the indoor Saco River Farmers Market each Saturday morning throughout the winter. On Feb. 16 from 2:30 to 5:30 p.m., the practice is hosting a do-it-yourself massage workshop to participants to bring massage into their daily life. Hark House focuses on body education, comfort, and a safe space to be relaxed. Both massage therapists truly love the work. January 11, 2019, BIDDEFORD, MAINE -- Biddeford residents Sean Hasey and Chrystina Gastelum have opened a new massage therapy practice, Hark House, in downtown Biddeford, moving from their space in Portland. Together they have over 20 years of experience practicing massage and bodywork. Hark House is located at 180 Main Street, a building owned by Gallagher’s Rainbow (David & Carolyn Flood). The practice comprises two therapist-owners who are dedicated to providing high-quality therapeutic massage in Biddeford. Their work includes deep tissue, Swedish, Thai, Shiatsu and other modalities. The name Hark House comes from the idea that as we recognize our bodies and listen, we can have more agency over our own comfort and function. “House” is the place where it happens and “hark,” in its simplest definition, means “listen.” Hark House helps to facilitate this experience in a meaningful, physical, and occasionally metaphysical manner. The therapist helps you to notice, or listen to, your body’s more restricted areas and helps you to release that for improved mobility, strength, and ease. Having lived in Biddeford (off and on) for over 15 years, Sean Hasey was ready to commit to bringing his practice—and some existing clients—to Biddeford. “While I’ve enjoyed my nearly two decades of working in Portland, the signs were clear that Biddeford was ready for us,” Hasey remarked. Sean’s therapeutic work is extraordinarily focused and specific. Clients remark that they feel more in their bodies and grounded after a session with Sean. Sean has been practicing massage since 2001. In the last two years, the couple have become more involved in the local community including the Mission Hill Community Garden, working the voting polls, and events like Art Walk, Maker Faire, Confetti and many open mic nights. This community involvement paved the way for their decision to bring their business to Biddeford. While office hours are by appointment, Hark House has made a commitment to offer seated massage at the indoor Saco River Farmers Market at 40 Main Street each Saturday morning through the winter. For folks who like to meet their massage therapist before a full session, this is a great opportunity to combine trips and get a taste of their work. To learn more or book an appointment, please visit us at www.harkhouse.me. Hark House will be hosting community meditations as well as workshops on massage for both practitioners and non-therapists in their space on Main Street and in collaboration with others in the area. They are eager to partner with other organizations and to help educate the community. Follow Hark House on Facebook (@harkhousemaine) and Instagram (@harkhouse) for specials, news and updates.